Went working on old computers, there is always a problem with getting hold of replacement ICs. 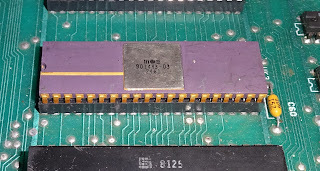 Some are easier than others, WDC are manufacturing modern versions of the 6502, 6520/21 and 6522, and there are still supplies of various types of RAM. One of the more difficult to replace is the 6530. 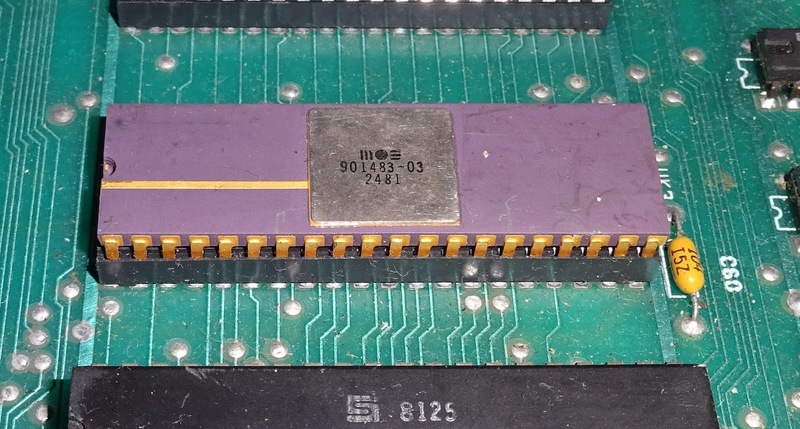 This is an early MOS chip used in Commodore PET disk drives. 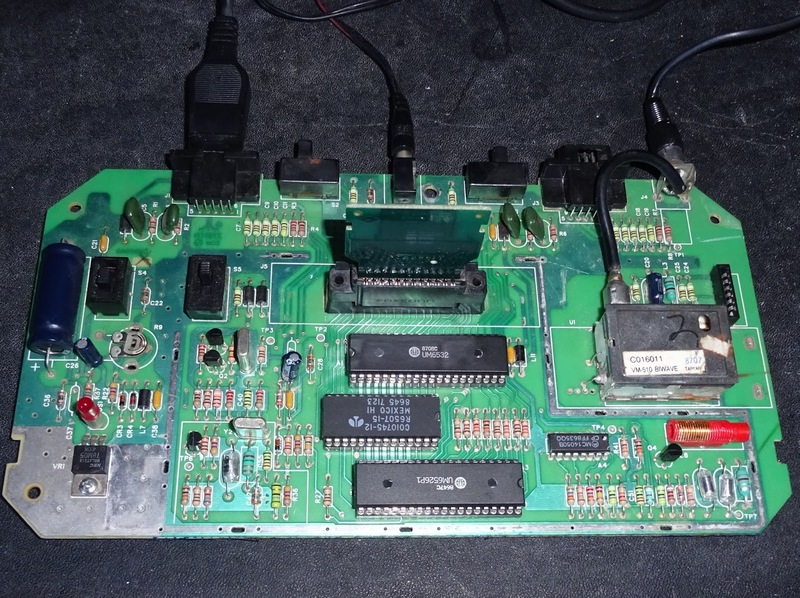 It is an RRIOT, so called because it contains, in a single chip, ROM, RAM, I/O and a Timer. So this can be used to reduce chip count. 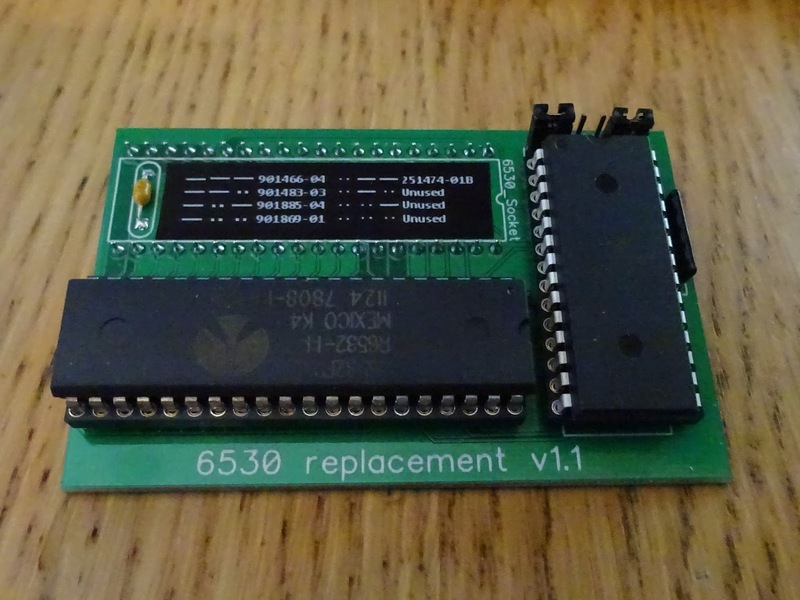 Because of the ROM part, this means it is a programmable part, and so not only do you need to find a 6530 to replace a faulty one, but it has to be one with the right ROM code in it. 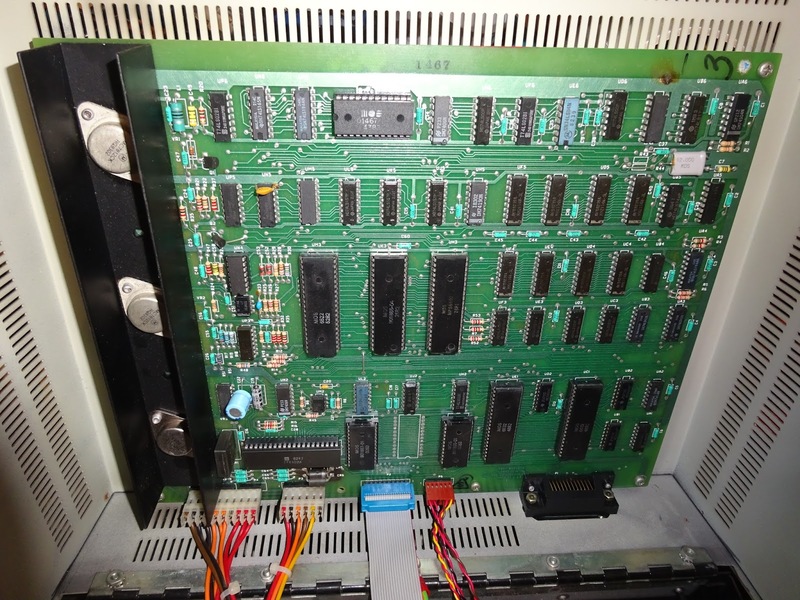 And just to help things, they are all marked with Commodore part 9018xx-0x part numbers. This is the controller of a Commodore PET 8250 dual disk drive, the 6530 is the middle of the three 40 pin chips, marked 901885-04. So quite a lot on there to go wrong. 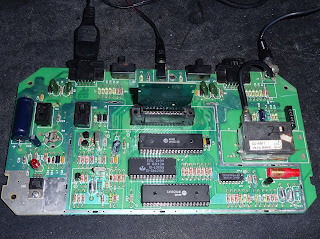 In the later Commodore disk drives (the 8250LP , 8296D and SFD-1001), it looks like they had been designed to use a 6530, but they all seem to be fitted with adapter boards. 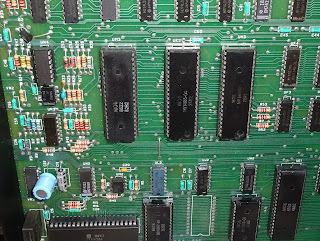 These had a 6530 from another drive, and some logic so the ROM on there wasn't enabled, and a separate ROM chip which had the right code in. 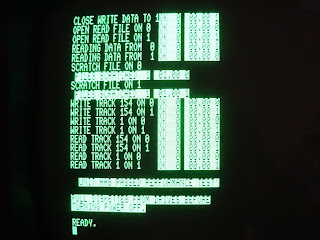 This was presumably a way of using up the stock of old 6530 chips. I don't have a stock pile of old 6530 chips. But I do have 6532 RIOTs. 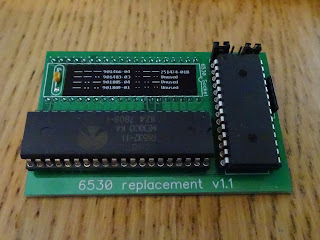 The 6532 is very similar to the 6530 but without the ROM, so RIOT is RAM, I/O and Timer. 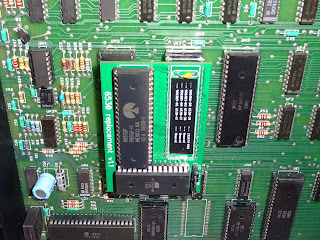 This chip is not programmable, so more easy to find. 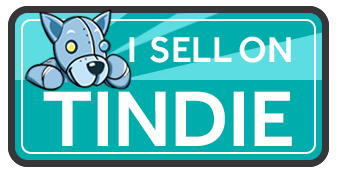 There is one in every Atari 2600, I actually use a 2600 to test 6532's. The 6532 is still available, and is a good place to start to replace a 6530. 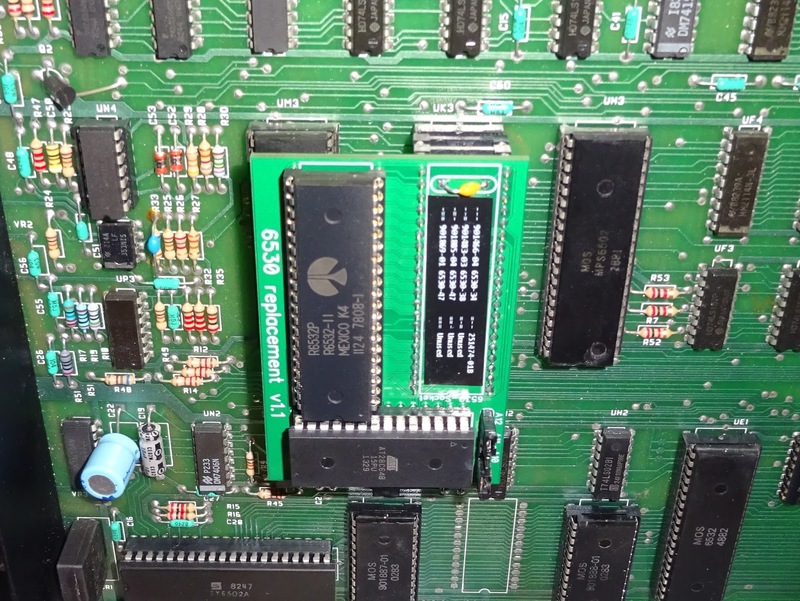 It has the RAM (actually, it has 128 bytes, the 6530 had only 64 bytes), the same I/O and Timer, so all it needs is the 1K ROM. This can all be fitted on a plug in board. This has been done in various ways before, such as this 6530 replacement, this my interpretation, along similar lines. It may be suitable for other 6530's, but there is another layer of complexity. 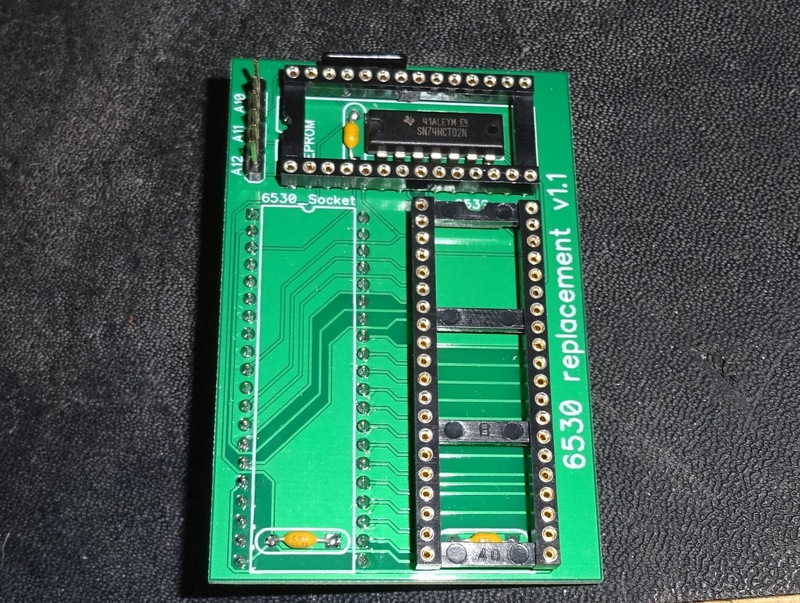 There is some additional programmable logic in the 6530 to set the addresses of the devices within the chip. All the disk drive ones are the same, so this board can be used for all of those. Any others would need to be checked to see the expected address map. 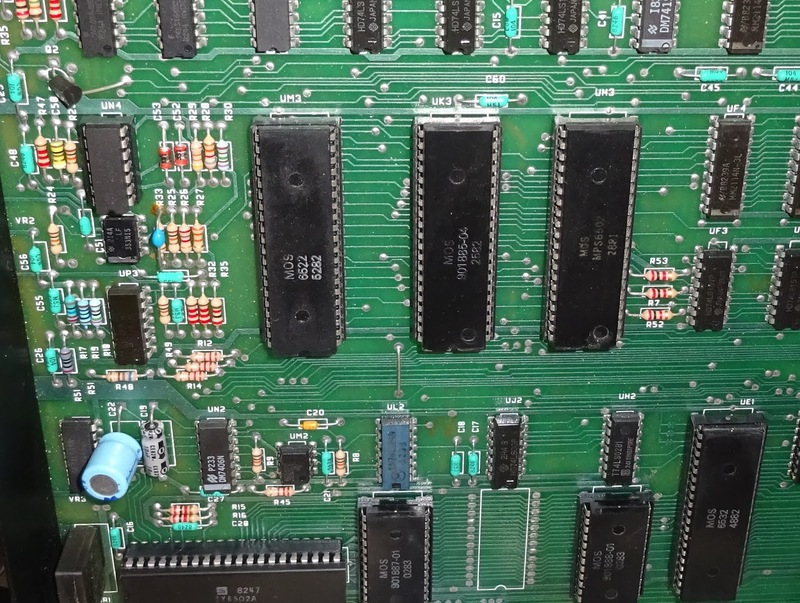 With the ROM and a 6532 installed, and the jumpers set, it's ready to go. That all plugs into the 6530 socket and this 8250 dual disk drive is now back up and running nicely. There doesn't seem to be any issues with clearance as the 8250 case is massive. Testing that with the 8250 diagnostics, it passes all the drive performance tests fine. Another good test is using openCBM to write disk images, and the wonderfully literal BASIC 4 'copy an entire disk' command, COPY D0 TO D1. There's another 8250 back in service. I've got another couple of drives, an 8050 and 8250 in for repair, so there should be more on them soon. 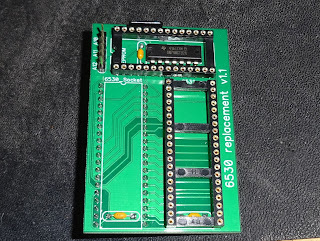 As usual, I've got spare PCBs left, so if anyone wants to buy a 6530 replacement, complete with programmed ROM, click below.